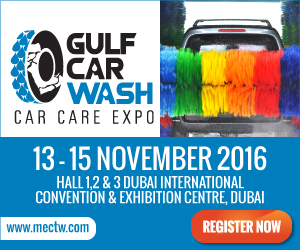 Did you know that International Carwash Association members receive up to four complimentary Trade Show Only Passes to The Car Wash Show 2016? And that's just one of the awesome rewards of membership. Visit http://www.carwash.org/membership/ica-membership-features-the-car-wash-show-2016 to view the full article online. An ICA member company has reached out with incidents involving the 2016 Lincoln 360 degree parking system. As was described, "the front camera is hidden behind the hood emblem. When activated the hood emblem raises up and the camera is exposed. If left in the exposed position, the wraps or mitter can take the emblem off." Share your experiences and notices in our Car Wash Vehicle Information group on LinkedIn. Visit https://www.linkedin.com/groups/4824027 to view the full article online. Join ICA, AOCA and WCA leadership Tuesday, May 10 at the State of the Industry Breakfast/Presentation and Keynote Presentation at The Car Wash Show™ 2016. An All Access Pass is required to attend. 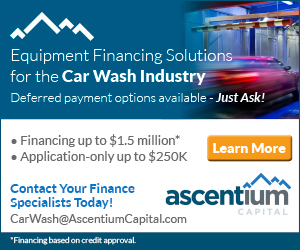 Visit http://www.carwash.org/thecarwashshow/news-landing/2016/04/19/attend-the-state-of-the-industry-breakfast-presentation-and-keynote-presentation to view the full article online. The newest Mike’s Carwash, located in West Chester at the corner of 747 and Union Centre Blvd, celebrated its grand opening with a Free Ultimate Carwash Weekend, April 8-10, 2016. Mike’s Ultimate Wash is their best wash (a $20 value) featuring FastWax, Wheel Bright, Underbody Wash and Tire Shine. Visit http://www.carwash.org/news-landing/2016/04/15/mike-s-carwash-raises-$13-350-for-the-leukemia-lymphoma-society-during-free-ultimate-carwash-weekend-at-the-newest-west-chester-location to view the full article online. Crew Carwash, a long-standing central Indiana carwash establishment, has been named a 2016 "Top Workplace" by The Indianapolis Star. 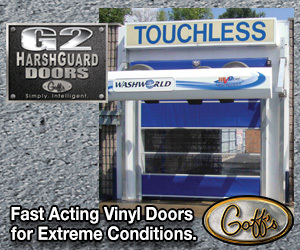 Visit http://www.carwash.org/news-landing/2016/04/18/crew-carwash-named-2016-top-workplace to view the full article online. In recognition of Soapy Joe’s conservation efforts, San Diego Major Kevin L. Faulconer officially proclaimed April 21, 2016, as Soapy Joe’s Car Wash Day. The proclamation will be celebrated in connection with Earth Day, annually observed the next day. Visit http://www.prweb.com/releases/2016/04/prweb13350473.htm to view the full article online. 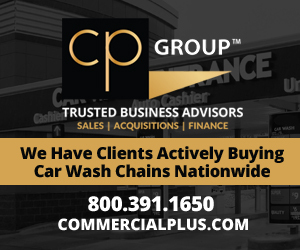 Mister Car Wash, the fastest growing car wash company in the U.S., entered Mississippi with its April 13th acquisition of seven Venture Car Washes. 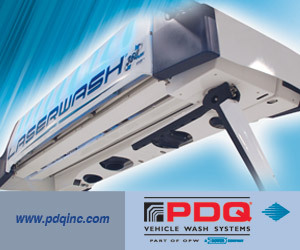 Visit http://www.prnewswire.com/news-releases/mister-car-wash-enters-mississippi-with-seven-store-acquisition-300251830.html to view the full article online. Melbourne-based M@ STUDIO Architects has been announced as the winner of the 2016 National Gallery of Victoria (NGV) Architecture Commission for their playful reinvention of the suburban car wash.
Visit http://uk.blouinartinfo.com/news/story/1379972/reinvented-car-wash-wins-2016-ngv-architecture-commission to view the full article online. When I ran my detail shop back in the late 80s into the early 90s, mobile detailing was just starting to gain traction. The closest we came to it back then was to offer free pickup and delivery—come to work with a filthy car; leave in a clean car. It was a very successful model. 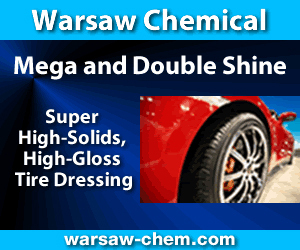 Today, mobile detailing pretty much dominates the industry, unless your car requires special services. Visit http://garagespot.com/washe-uber-mobile-car-washing-detailing/ to view the full article online. Effective leaders managing today's younger workers know this: Ordering them around is probably the best way to get the worst results out of them. Visit http://www.inc.com/christina-desmarais/how-to-motivate-people-to-do-their-best-work.html to view the full article online. There’s no set formula for what makes an effective leader. Some people make it to the top and others don’t, but contrary to popular belief, it’s not all a game of wealth. The following TED Talks, given by thought leaders in their respective fields, explore various factors that contribute to the success of those who reach the top—and the factors that have kept some from reaching their true potential. Visit http://www.forbes.com/sites/ashleystahl/2016/04/18/4-ted-talks-to-become-a-true-leader/#434ff91d1de0 to view the full article online. Most consumers sign up for marketing emails from brands to receive discounts and promotions, according to recent research from Adestra. The report was based on data from a survey of 1,251 consumers age 14-67 who live in the United States. Some 85 percent of respondents say receiving discounts is one of the most important reasons they sign up for emails from brands. Visit http://www.marketingprofs.com/charts/2016/29727/what-consumers-want-from-brand-emails to view the full article online. As social media use continues to grow, so does the number of marketing opportunities for small businesses. Nearly two-thirds of U.S. adults now use social networking sites, according to Pew Research, up from just 7 percent in 2005. Visit http://www.forbes.com/sites/centurylink/2016/04/14/what-your-small-business-should-do-to-look-like-a-social-media-pro/#270c2b3f42cd to view the full article online.